USB Flash Drive Folders: Instant Prices, Low Minimum, Configure Online! 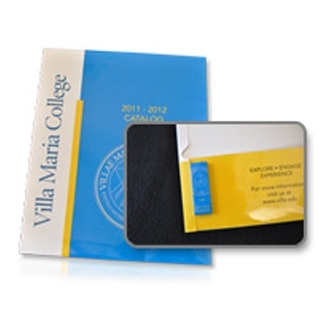 Our USB Flash Drive Folders are printed with brilliant full-color graphics on high quality glossy stock. Double-scored spine gives folder capacity to accommodate USB holder. 9" x 12" Flash Drive Folder with Pouch on Right Pocket - many custom order options.